We went to Fort Pike. Fort Pike is a fort in Louisiana. I got to see cannons and cannon balls. The fort is small. A long time ago there was a war between America and the British Empire, the War of 1812. After the war America built Fort Pike to protect New Orleans from the British. 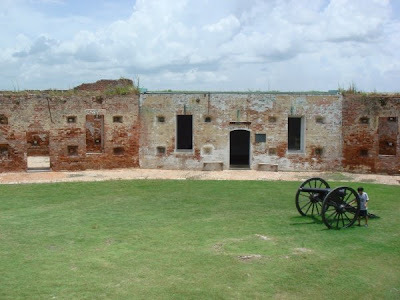 The British didn’t attack again, but Fort Pike was used in three other wars, the Mexican war, the Civil war, and the Seminole Wars.